It got ugly on Saturday. And it got ugly quickly. Alabama (8-0, 5-0 SEC) marched to victory over Tennessee (3-4, 1-3) for the 12th straight time, defeating the Vols 58-21 in a lopsided affair on Saturday. No. 1 Alabama jumped out to a 28-0 lead in the first quarter over the Vols, and that’s all they needed in the game. The Tide put together a dominant first quarter in which they totaled 217 yards of offense and held Tennessee to just six yards of offense. 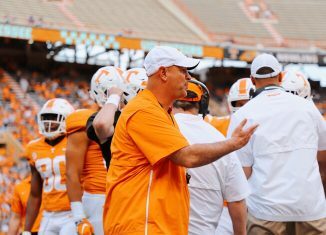 The Vols would find a little life on offense when backup quarterback Keller Chryst entered the game in the second quarter after Jarrett Guarantano took a huge hit and didn’t return to the game. Tennessee actually out-gained Alabama 163 yards to 134 yards in the second quarter and kept pace by scoring 14 points along with the Tide. But that was far too little, and it was already far too late in the second quarter. Alabama continued their impressive start to the 2018 season and put up 50 or more points for the sixth time in eight games this season. 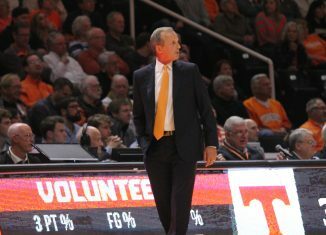 Here are our five biggest observations from the Vols’ huge loss to the top team in the country. 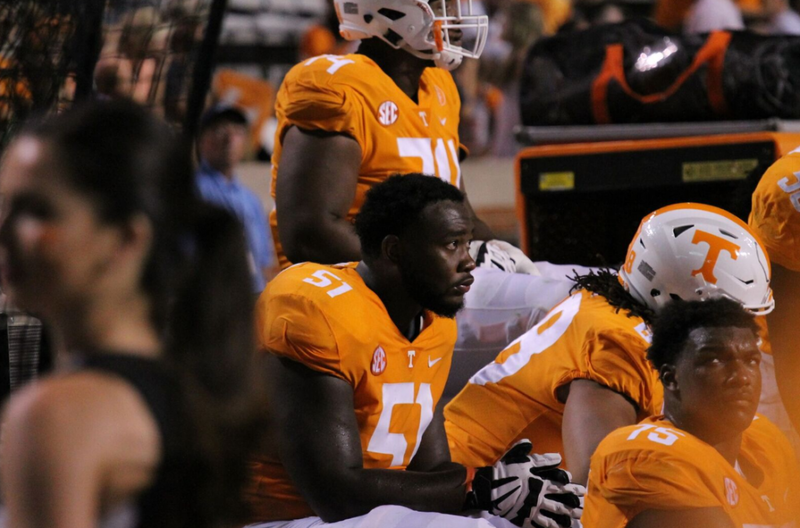 The start of the game went about as badly as it could’ve for Tennessee. After Alabama opened the game with a touchdown drive for the eighth time this season, the Vols took over on offense and did the same thing they did against Florida: turned the ball over. Alabama would take over at Tennessee’s three-yard line, and in a matter of less than four and a half minutes of game time, the Tide held a 14-0 lead. The Crimson Tide would leap out to a 28-0 lead before the first quarter came to a close, and it took the Vols connecting on a 20-yard play to get out of the negative yardage total on offense before the first quarter ended. 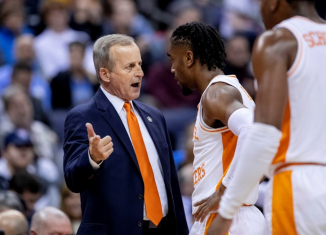 Tennessee dug themselves into a massive hole on Saturday, and that buried them quickly against the top team in the country. Jarrett Guarantano took some punishing hits once again in this game, and this time he didn’t bounce back after one of them. Guarantano found Josh Palmer for a 30-yard gain in the second quarter, but he got nailed on the play by an Alabama defender and came out of the game. He never returned, and Keller Chryst orchestrated the offense for the rest of the contest. Chryst’s first two possessions as the quarterback went for scores, and he made some impressive passes while leading the Vols down the field. 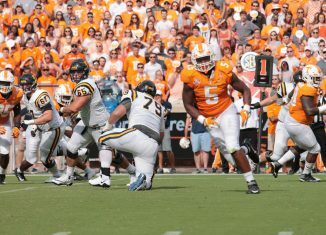 He found a wide open Ty Chandler for a 10-yard score for UT’s first score of the game, and then he came back and connected with Tyler Byrd for a 20-yard touchdown. Chryst finished the game 9-of-15 for 164 yards and two touchdowns. He did go down for a safety on Tennessee’s opening possession of the second half, though, and he and UT’s offense didn’t look nearly as crisp in the second half. 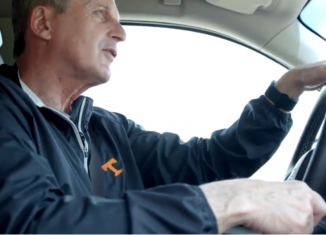 Before we get to some more bad news for the Vols, let’s take a look at one more piece of good news. Ty Chandler’s 10-yard touchdown grab marked the third consecutive game in which he caught a touchdown pass, and he became the first Tennessee running back in school history to catch a touchdown pass in three straight games. Chandler scored on a 35-yard reception against Georgia, made a 42-yard touchdown grab against No. 21 Auburn, and then caught a 10-yard touchdown against No. 1 Alabama on Saturday. 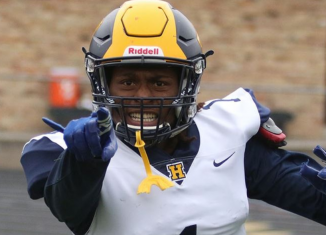 He now has 12 catches for 154 yards and three scores on the season. Now, we return back to the bad news. Alabama’s 58 points against Tennessee were the most the Tide have scored on the Vols in the rivalry’s history. The highest point total Alabama had put up on the Vols before Saturday’s contest was 56 points back in a win in 1986. 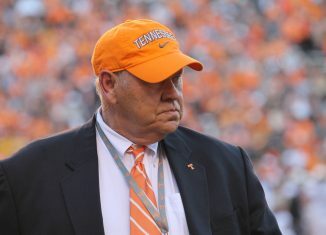 The 58 points Tennessee allowed against Alabama was the most they had given up in Neyland Stadium history as well. 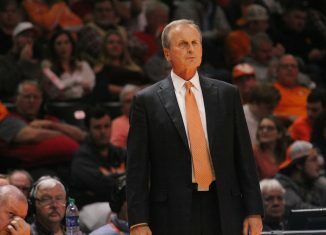 The Tide’s 58 points were the fourth-most Tennessee had allowed to an opponent since 1937. 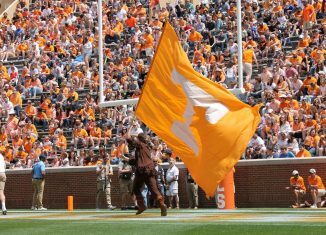 Only Florida (62 points in 1995), Oregon (59 points in 2013), and Florida again (59 points in 2007) have scored more points against the Vols since 1937. The most points Tennessee has ever allowed in school history is 70 points, and that was in a 70-0 loss to Duke in 1893. Tennessee’s loss to Alabama was their 12th straight loss to the Tide, the longest such losing streak to a single school in program history. 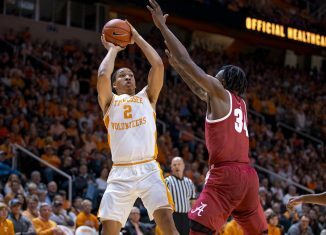 Interestingly, Tennessee’s 21 points against Alabama were the most they scored on the Tide since they won 51-43 in a multi-overtime game in 2003. After a beat down like this, how do the Vols respond when they go on the road to take on a South Carolina team that’s coming off a bye week? 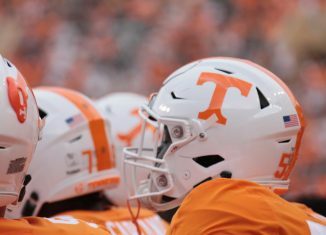 The Vols’ schedule gets easier now that the Alabama game is over, but the Gamecocks are far from a pushover. The game will be on the road, and South Carolina will have an extra week to prepare for Tennessee. Can the Vols maintain the momentum they had against Auburn? Is Jarrett Guarantano okay enough to play? 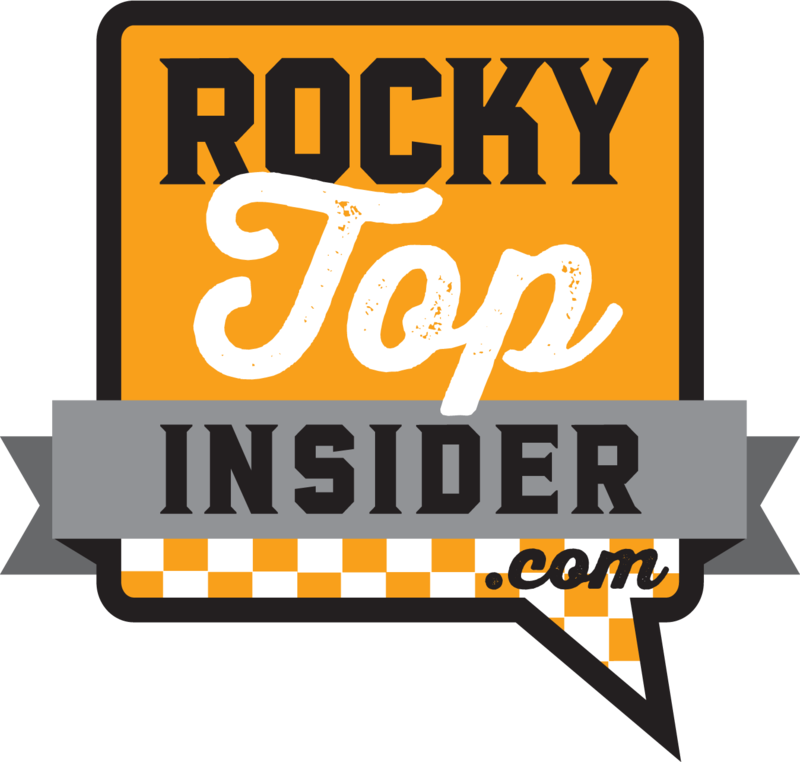 Next Saturday will be very telling of Tennessee’s mental state and toughness as a program under Jeremy Pruitt in his first year. 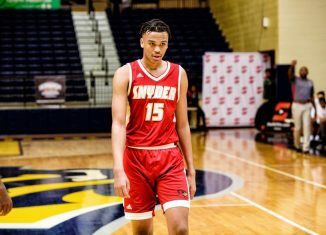 Pruitt: Vols Won't Slow Alabama "Til We Get Another Recruiting Cycle"